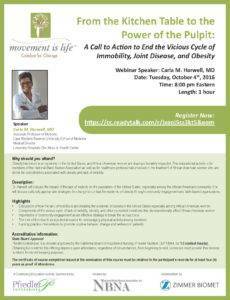 Dr. Harwell will discuss the impact of the lack of mobility on the population of the United States, especially among the African American community. She will discuss culturally appropriate strategies for change to combat the epidemic of obesity through community engagement and faith-based organizations. Obesity has become an epidemic in the United States, and African American women are disproportionately impacted. 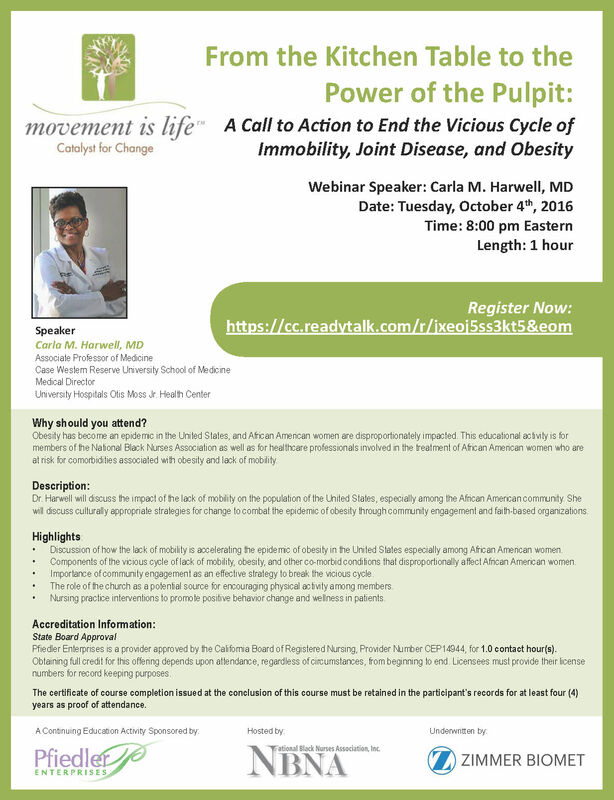 This educational activity is for members of the National Black Nurses Association as well as for healthcare professionals involved in the treatment of African American women who are at risk for comorbidities associated with obesity and lack of mobility.